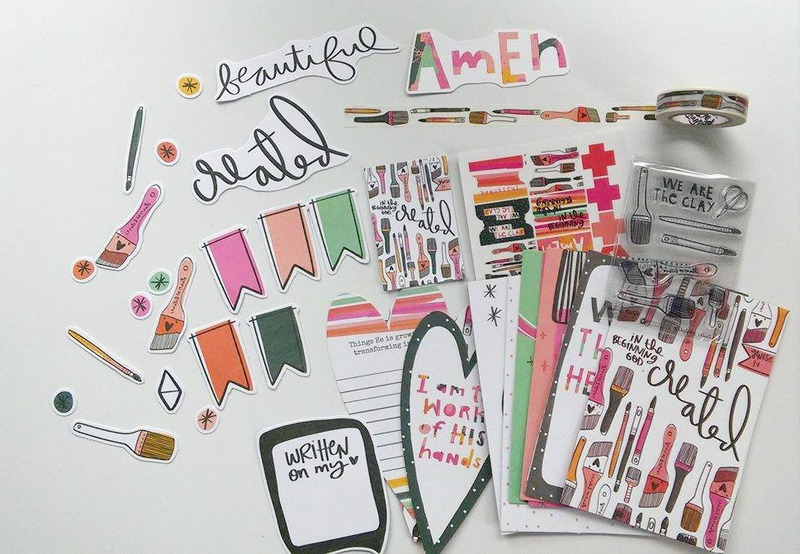 Friends, I am so excited to be sharing the newest Illustrated Faith Bible Journaling Kit with you! Many of you know I have really gotten into Bible Journaling over the last couple months and these kits make it so easy and enjoyable. I have looked at Instagram pictures for awhile, thinking I wish I could do what those creative people are doing…but that is just not me. Now, thanks to Illustrated Faith…I have found my creative side again! What is even better than that is that my creative side is brought forth by God and his Word makes it come alive. Beautiful, right? I am so excited to dive into this kit. My daughters have been Bible Journaling with me in the afternoons, so they are excited too! This is one of my favorite Journaling Bibles here and it is marked down to an incredible price! AND… DaySpring is also having a HUGE Sweet End-of-Summer Savings sale right now through September 5th, with so many of my favorite items up to 70% off! Some of my favorite items are marked down to crazy prices and I am stocking up! There are Devotional Kits marked down, $5 journals, my favorite watercolor paint set marked down to only $10 and so much more. They will sell out quickly, so grab your supplies now if you want them. Perfect time to think about those Christmas gifts (no, it’s not too early!). Grab your Created to Create 2 Kit HERE! This set is SOOOOOO cute! I LOVE the “we are the clay” stamps! So cute! All of it is! This is so fun looking! We definitely were created in the image of a creative God and it’s so wonderful to see people embracing that in their worship. This looks like something I’d love to dive into! I think that it’s so important for women, especially moms, to be in the Word every day and to have some kind of creative outlet. This kills two birds with one stone! (Is there a nicer way to say that, lol?) Thanks for sharing this, Terryn! This looks so fun! I have no gotten into bible journaling but I do a lot of scrapbooking and I totally can relate to the appeal of this. Such a great way to grow in scripture!